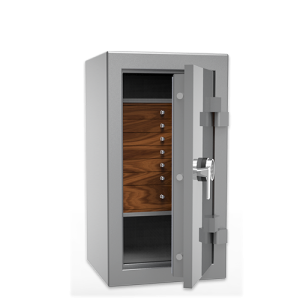 ​Casoro jewelry safes provide customized security for your most prized possessions. treasured items safe for years to come. Casoro Luxury Home Safes provide impeccable security for your most prized possessions. Our unique, fashionable home jewelry and watch safes have become popular with distinguished clientele all over the world. Our clients appreciate Casoro’s designer styling, personalization and industry-leading security against fire and theft. 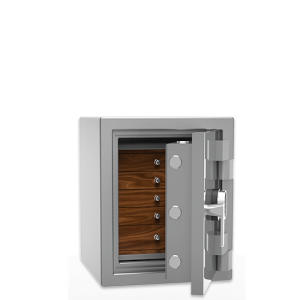 We offer the best jewelry safes on the market today. Our design team is standing by. 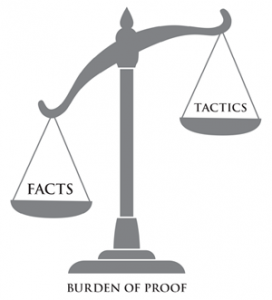 WE OFFER Independent Verifiable Testing VS. COMPETITORS’ MARKETING TACTICS AND PLAY ON WORDS. 100% OF OUR PRODUCT LINE HAS BEEN INDEPENDENTLY VERIFIED BY Underwriter’s Laboratories (UL) TO OFFER PROVEN BURGLAR PROTECTION. INDEPENDENT TESTING VERIFIES OUR FIRE RESISTANT SAFES LIVE UP TO OUR CLAIM. Our recent survey affirmed our “white glove service” is a major reason customers choose a custom Casoro luxury home safe. Along with the many options for customization and the outstanding fit and finish of our products, we ensure that every customer experience at Casoro is easy and convenient from beginning to end. From the time you first call us to inquire and explore the different Casoro options to the point the safe is delivered to your home and placed exactly where you want it, we will give you our very best. We will ask enough questions, and listen carefully to your answers, to ensure we understand your needs and help you make the best decisions. Because these safes are heavy and not so easy to move around, we will pay close attention to the delivery details in order to ensure the process goes as smooth as possible. 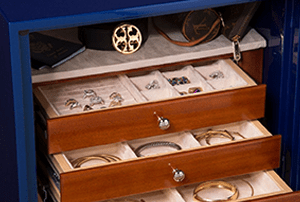 Your jewelry safe will be built to fit your needs and desires. That includes the functional elements of size, security, number of drawers and any other desired options. Any Casoro safe can become your Ultimate Watch Safe by adding programmable watch winders. Also important are the aesthetics, you select the colors and wood species to fit your decor and preferences. We know the fine points count, so we do sweat the details. The fit and finish of our safes can’t be beat! Our Design-A-Safe process first begins with choosing your theme: Gemstone Luxury, USC Collection for fans of the University of Southern Cal, Kairos Ultra-Modern Luxury, or Classic. From there, design your custom jewelry safe with these four simple steps. WHY SHOULD YOU BY FROM CASORO? Casoro is the luxury division of Maximum Security Safes. After many years of selling all types and sizes of safes and vaults, a local customer came into our store looking for a “jewelry safe” and was disappointed that we didn’t have what she was looking for. At her prompting we began to develop what is now known as our Casoro Gemstone Collection, unique customizable, luxury jewelry safes. Kairos is our newest collection of luxury safes, with an ultra-modern look. 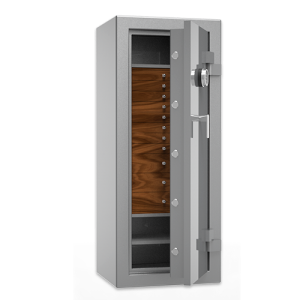 These safes have been created in response to customer requests for a more high tech, masculine safe with a refined image. Materials include carbon fiber, brushed airplane grade aluminum, soft close drawers and often watch winders. Several years into the continuous development of our luxury safes, we have a very long list of genuinely pleased customers all across the country and internationally and a robust product offering that can’t be beat for security, luxury and convenience. As a family owned and operated business, we have a vested interest in providing you with the best in product and service, such that you are confident you made the right decision. We work hard to make the entire process easy and convenient – from initial design of the safe all the way through delivery and placement in your home. 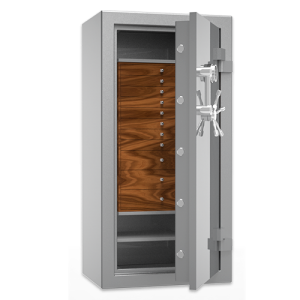 Learn more about our Luxury Safes here. First and foremost, Casoro is committed to providing security you can count on. 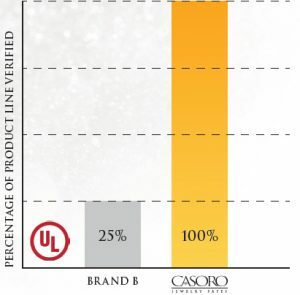 Don’t just take our word for it, look for the Underwriters Laboratories label on each and every Casoro Jewelry Safe. 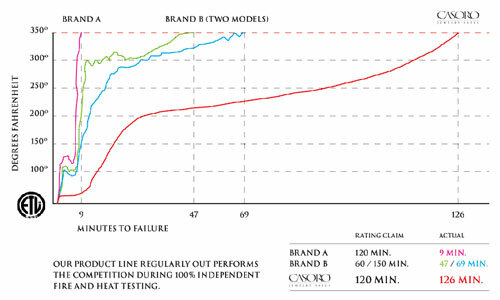 UL conducts stringent tests to evaluate performance and follows up with regular factory visits to ensure those standards continue to be met. UL has been testing and certifying burglar safes since 1923. With their expressed purpose of “bringing quality and safety to life for more than 130 years”, we count on UL as our guide to quality products across a wide range of industries. Our popular fire-resistant safes have also been independently tested and verified for 1 or 2 hours fire protection. Casoro’s user friendly website allows you to design just the right safe for your needs and desires. Choose from our ultimate Kairos Collection, most popular Gemstone Collection or lower cost Classic Collection. If you want a safe to protect from the typical residential burglar or a sophisticated, professional safe cracker, we have a solution that will protect you. Let your creative juices take flight with a variety of colors and materials from which to choose. Select the number of drawers and style of drawer interiors that meet your needs today and into the future. Consider options to further customize the safe with watch winders, flush LED downlighting, necklace rack, file drawer and more. For luxury our Gemstone and Kairos safes can’t be beat. We do sweat the details, using top quality materials lavishly throughout the safe. These high end safes are lined with elegant microsuede, as are the drawers inside. Mirror-like reflective material covers the back of the safe drawing in light and increasing visibility. Lighting is flush mounted in the ceiling with a sensor automatically turning the light on and off as you open and close the door. Consider including watch winders handsomely displaying your timepieces in a panel running the width of your safe. Our watch winders are fully programmable with intuitive and easy to use controls. 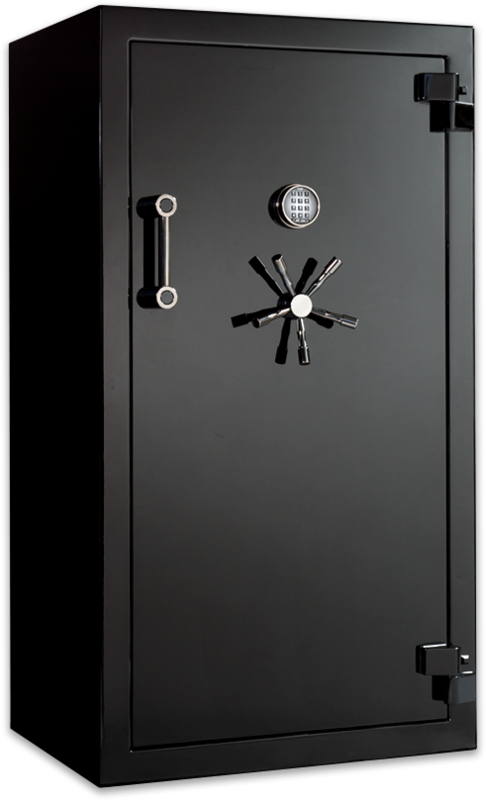 Learn more about what you need to know when buying a luxury safe. We know this is a big decision, so our expert consultants are available to patiently assist you along the way. We are committed to making this an enjoyable experience for you from the time you initially contact us, until you are happily using the safe in the comfort of your home. Having trouble deciding on colors and materials, order a Design Kit with a full array of samples. Or, let us know the specific paints, woods and fabrics you are deciding between and we will send you select samples at no cost. 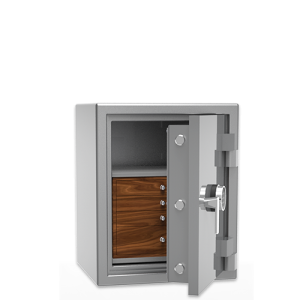 Design your safe now and we’ll get back to you promptly with a quote. Or, give us a call 800.538.0600 and we will help you over the phone.